Dr. Gina Sam always appreciates feedback from her valued patients. To date, we’re thrilled to have collected 3 reviews with an average rating of 5 out of 5 stars. 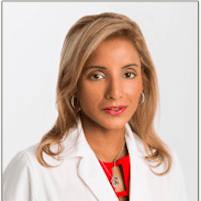 Please read what others are saying about Dr. Gina Sam below, and as always, we would love to collect your feedback. Dr. Sam was my Gastro doctor for years while practicing at Mt. Sinai. After five years with another doctor and not getting any better, Dr. Sam sat with me, listened and was able to diagnose me on my first visit to her. She is caring and friendly, always responded to any questions I emailed her. I would highly recommend her!! Dr Sam is thorough and sensitive! I would definitely recommend her!